We Are Your Catalyst and Coach! We help you accomplish what you simply don't have the focus, energy or skill for on your own. Imagine finding a paper when you need it! • We start with meeting to walk through your space to get an overview of your situation, to understand what's important to you, your challenges and circumstances, and your needs and vision for your space. We then implement a general plan, pick a sensible starting place, and get started. • Each project and scope of work is unique, based on your unique needs and space. Thus, we don't offer cookie-cutter solutions. We are fond of saying that organizing is more of an art than a science! We bring structure and focus, yet it is a very organic and creative process. We won't know all answers when we begin, but we work closely with you to assess as we go, making adjustments as necessary for real-life flow, function and aesthetics. • We schedule in minimum of 3 hour sessions. Due to the nature of the work and the focus required, 6 hours tends to be a good day's work. But for projects with an urgency to them, we will schedule longer sessions of 8 hours. • In most cases, we work alongside our clients because the process is inherently interactive, needing your ongoing input. However, if your circumstances require it, we can work on our own, with your guidelines, of course. 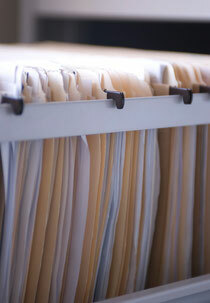 We understand that getting organized can feel daunting. Sometimes clients feel embarrassed that they are needing help. Please know that it is all okay. At LivingSpaces, we do not judge you. We have great respect for the human experience! Our clients consistently share with us that they deeply appreciate that we are a catalyst and coach for them to accomplish what they simply don't have the focus, energy or skill for on their own. We can work with you on very small levels of detail.... for example, sorting and filing every piece of paper in your office, if you need that kind of support.... to larger scale projects of re-arranging storage spaces, and re-creating your living spaces for flow, function and beauty. Piece by piece, we'll work with you to get it done.